(1 October 2018, Hong Kong) Jointly developed by Couture Homes Properties Limited, Grosvenor Asia Pacific and Asia Standard International Group Limited, the new luxury residential project located in the prime area Jardine’s Lookout is officially named “DUKES PLACE皇第” today. The developers hosted an exclusive official naming ceremony in London to showcase the remarkable magnificence and unique advantages of the stately new development. Mr. Jimmy Fong, Managing Director of Couture Homes Properties Limited, noted that Jardine’s Lookout has historically been Hong Kong’s most luxurious residential area along with the Peak and the Southern District, home to numerous high-quality detached houses and low-density apartment buildings, and a haven for distinguished families and celebrities. 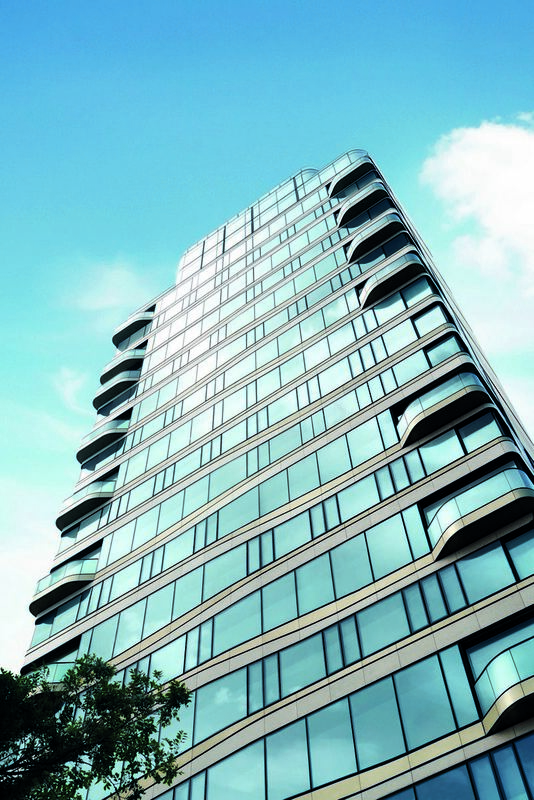 “DUKES PLACE” is the only new luxury residential flat project in Jardine’s Lookout. The development sits above Happy Valley and Mid-levels and offers a sweeping view of the bustling scenery in those areas. A short 10-minute drive to Central, 6-minute drive to Happy Valley and 5-minute drive to Causeway Bay, “DUKES PLACE” enjoys a convenient, well-connected transportation network and an advantageous locale, presenting noteworthy investment potential compared to properties in other traditional luxury districts like the Peak and the Southern District. The project’s Chinese name is made up of two Chinese characters, “皇” and “第”. “第” refers to the majestic residences of the aristocracy. “皇第” refers to residences of royals, embodying an added meaning of honor and representing the lineage of eminent families. The name “DUKES PLACE” fully reflects the development’s reputation as the pinnacle of luxury living and of its surrounding areas; residing at “DUKES PLACE” is comparable to sitting, dignified, on top of the world. Mr. Fong added that Couture Homes Properties Limited has joined forces with Asia Standard International Group Limited and Grosvenor Asia Pacific to develop this landmark residence in Hong Kong. To create a world-class masterpiece, the developers formed an authoritative team comprised of designers from the United Kingdom, France, Japan and Hong Kong to jointly inject various fine design elements into the project. 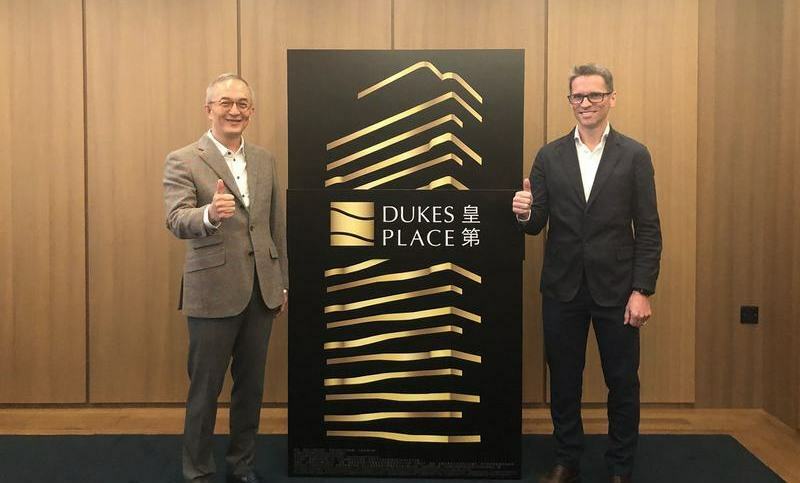 Mr. David Hoggard, representative of renowned British architect PDP London, said that the “DUKES PLACE” project adopts a modern design style. This can be seen in the buildings’ exterior walls, which combine premium Italian stone and a glass curtain wall and are adorned with champagne metallic lines. This innovative design brings understated luxury to the property as well as a touch of modernity to the long-standing Jardine’s Lookout area. The designers have also taken the project’s location amidst green mountain landscapes as inspiration, using strips of metallic lines running through the building exterior to echo the natural hilly contours and to highlight the integration of people and nature. The lines are also products of marrying design and function, as their patterns of curvature are intentionally designed to match the different functions of the indoor spaces. Since living rooms require more natural lighting, windows there are purposely made larger. The exterior lines along the living room are, correspondingly, thinner. In contrast, in bedrooms where a higher degree of privacy is preferred, windows are made smaller and the exterior lines are thicker for that reason. As another example of the project’s exquisite craftsmanship, the sides of the building are rounded to complement a curved exterior wall. This lends a smoother and softer silhouette to the development and more elegance to its overall design, resulting in a graceful new property that redefines luxury living in Jardine’s Lookout.